Solid surfacing countertops are horizontal work surfaces that are fabricated from a manmade synthetic product. Developed in 1967 by DuPont, solid surface countertops have many applications in both residential and commercial facilities. They are available in many solid or marbleized colors and with visible textures, including veining that can mimic marble, granite or wood. Solid surface countertops offer resistance to scratches, stains, chemicals and bacteria, and are non-porous, seamless, and durable, with solid color throughout. Solid surfacing materials are produced by several manufacturers, each using different materials and ratios. The initial process for each manufacturer begins with a liquid blend from resin (acrylic, polyester or an acrylic-polyester blend), filler (alumina try-hydrate), pigments, particles and additives. After mixed, the liquid form is molded into solid sheets and cured. Depending on the manufacturer, a catalyst may be introduced to the mixture prior to moulding, which initiates a chemical cure, or the mould may undergo a thermal cure. The cured, hardened sheets that are shipped to fabricators are 1/2 inch thick and can be 30 or 36 inches x 12 1/2 feet. Fabricators use the synthetic sheet material and an epoxy-like resin adhesive to form the desired countertop shape and thickness, incorporating a backsplash and sinks. Seams are sanded, and virtually disappear. The machined edge detail options are endless; they can be setback, profiled, built-up with similar color, or inlaid. Finishes of solid surface countertops include: matte/satin, semi-gloss and high-gloss. Matte/satin finish is recommended for high traffic countertops. 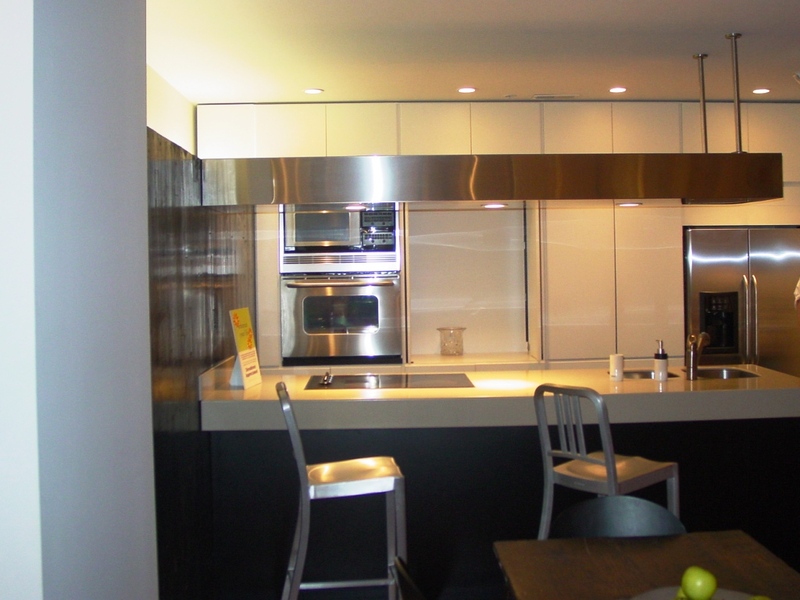 Installation of solid surface countertops is primarily done by professional installers. The countertop will not be fastened to its base with nails or screws; rather it is attached with beads of silicone, allowing expansion and contraction. Manufacturers of solid surface countertops offer either a 10 or 15 year warranty. Care of the countertop is relatively easy. Soap and water, ammonia based cleaners, or solid surface cleaners can be used with a non-abrasive cloth or sponge to remove dirt and residue. After cleaning, the surface should be rinsed and thoroughly dried. While solid surface countertops are repairable, cutting should be done on a board, spills should be cleaned up immediately, and hot items shouldn't be set directly on top of the countertop. As with any product or material, you should follow the manufacturer’s recommendations for cleaning and maintenance. Solid surfacing countertops are competitively priced compared to quartz and natural stone countertops, and are readily available through material suppliers and home improvement stores.